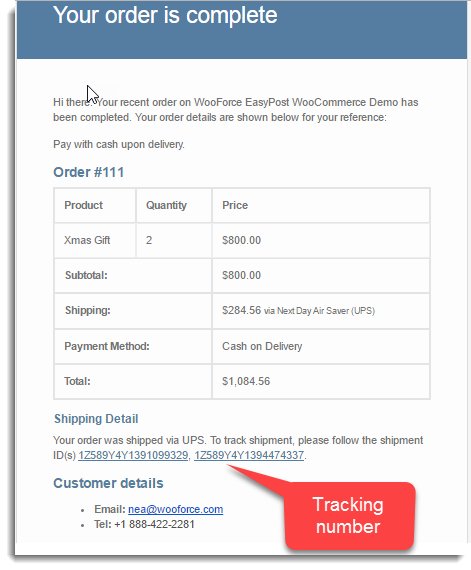 I am considering EasyPost plugin because I want to include the EasyPost tracking number in a “completed order” email from my website, in addition to the tracking email generated from EasyPost itself. Yes, our EasyPost plugin provides tracking information in order completion email. We will take you through the entire process of how our EasyPost plugin attaches tracking information in the order completion email. Once the order is placed on the cart page, then go to WooCommerce>Orders. You would see the entire list of orders on the site as shown in the screenshot below. Kindly select the order no, ( let’s say we selected order no 111). You will see the order page as shown in the screenshot. Select the service from the EasyPost shipment label box and create the shipment. Once the shipment is created successfully, you will get a Print label option. Now mark the order completed, from the Order Action box and then click on save the order. 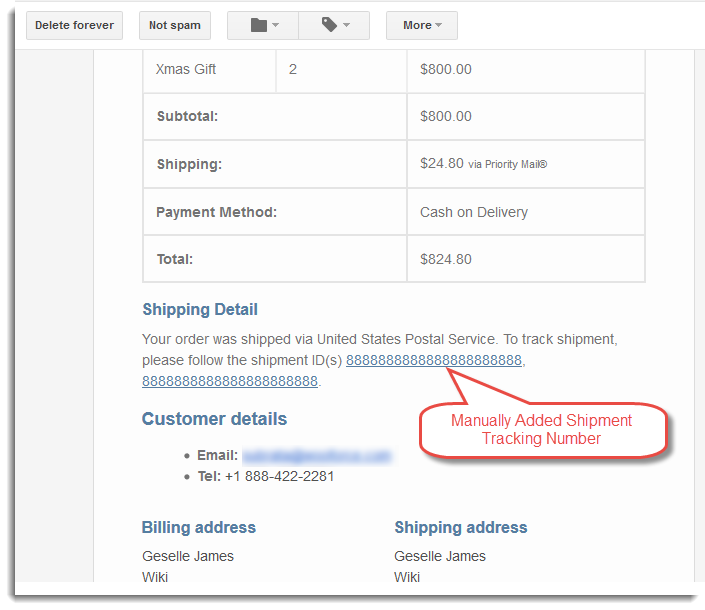 Also, if you only want the tracking information (not printing the label), you can manually enter the tracking number and shipment date in EasyPost shipment tracking as shown in the screenshot attached. After that mark the order completed and save the order, you can see a message that the order completion mail is sent as shown in the screenshot. You can also test our tracking feature by checking our live demo.